There often comes a time in every homeowner’s life when they realize they’ve run out of space for all of their things. In this sense, building a utility or garden shed starts to sound like the only sensible option, especially since many people seem intent on holding on to many things that we rarely, if ever, use. However, even if you only plan on building a small structure, it’s important that you follow all local regulations to avoid running afoul of the law and potentially having to tear you’re shed down. Where Can Sheds and Other Accessory Structures Be Built? Every city or county has its own regulations governing all residential and commercial properties within its jurisdiction. These regulations, which govern both main buildings and accessory structures, set out specific requirements as to the maximum allowable size of structures and also where they can be built. However, building regulations can and do vary widely from place to place, meaning it’s always important to check with your local city or county planning office to learn about the specific building codes and rules governing your area. 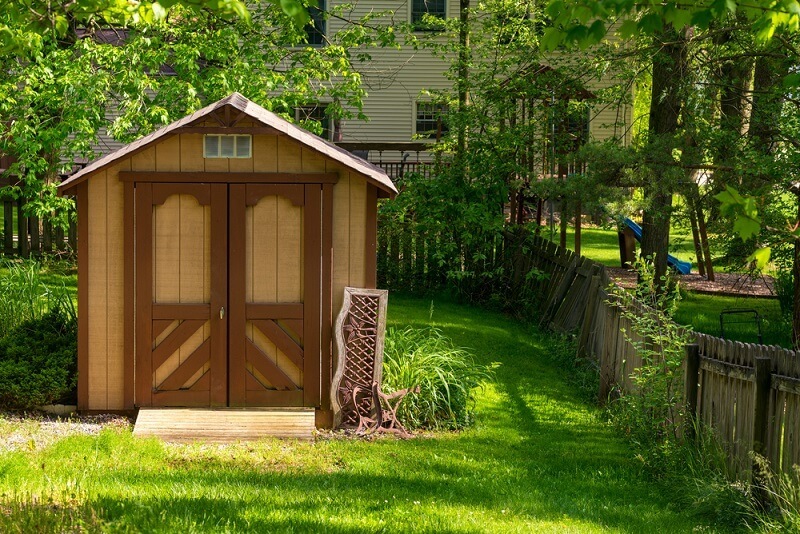 The majority of municipalities only allow sheds, gazebos and other accessory structures to be built in the back yard of the property. This means that, in most cases, you will be forbidden from building a shed in your front garden or even on the side of your lot. Some places do make special exceptions for structured that are built so as to be attached to the main building, even if the structure isn’t accessible from the inside of the home. 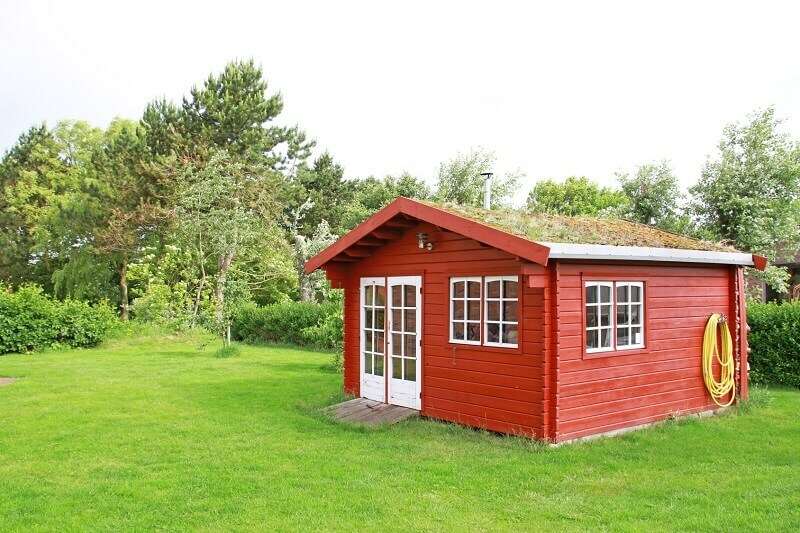 This means that there may be a chance that you’ll be allowed to build a small shed on the front or side of your house, as long as the home forms one of its four walls. Still, you’ll need to consult your local regulations to determine if this is the case in your area. Most communities also have specific rules regarding setbacks, which state that no permanent structure can be built within a certain distance of the property boundaries. Typically, most structures must be set back at least 15 feet from the rear property boundary and at least five to 10 feet from the side boundaries. Again, the rules vary from place to place, but most cities and counties will require that you first obtain a building permit before beginning construction. While this requires paying a fee and jumping through a few hoops, it also ensures that you won’t fall foul of the local regulations. This is because the local building inspector will first examine your structural plans and your proposed building location to ensure everything conforms to local building codes. There are numerous reasons that this process is necessary, from examining the proposed location to ensure it doesn’t interfere with power lines, septic tanks, etc. to ensuring that the building is structurally sound enough that it doesn’t collapse or be blown over. Due to the sometimes complex nature of building regulations, many people prefer to simply hire a construction company when building a shed. However, you can easily do the entire job yourself from start to finish, but it will require that you put a bit of time and effort into reading up on the local building codes and also into the plan and design of your structure. By doing so, you will save yourself a ton of headache and hassle, ensuring that both the process of building and obtaining the necessary permits goes more smoothly.